A Paris Hotel needlepoint design by Alice Peterson Co (AP2841) that measures 10.25” x 12”. 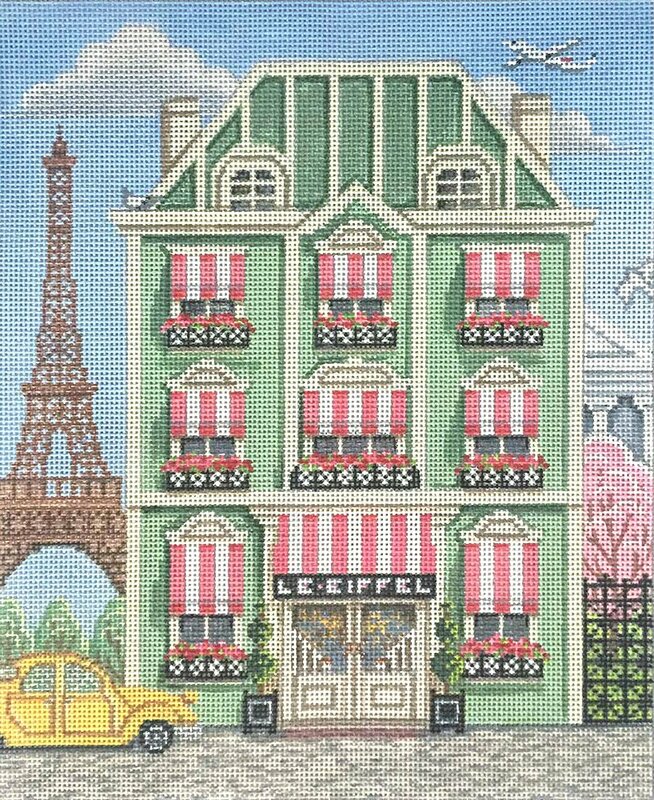 It is a typical Parisian street scene featuring a hotel with lots of lovely detail to stitch. If you wish to purchase stretcher bars we recommend a pair of size 14" and a pair of 16" and some thumb tacks. This Paris Hotel handpainted needlepoint design would be suitable for a moderate to advanced stitcher.